4DVD will release a three-disc DVD box set titled The Very Best Time Team Digs on the 21st of August (to coincide with a Bank Holiday weekend series of special Time Team broadcasts from the grounds of three Royal palaces, The Big Royal Dig). 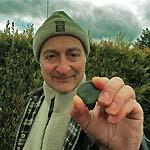 The set will feature the best digs, as chosen by presenter Tony Robinson and the other regular Time Team members. Additional extras include two episodes of Time Team Extra (the 1998 follow-up series); and a new film, Geofizz Explained, which shows viewers three different Geofizz techniques. The RRP for the set is £24.99. 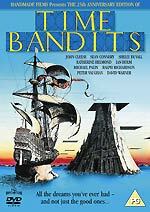 More details of Anchor Bay's forthcoming Time Bandits - The 25th Anniversary Edition DVD are now available. The film itself is presented in 1.78:1 anamorphic widescreen format, with a choice of Dolby Digital 2.0 (at 192kbps), 5.1 (at 448kbps) or DTS (at 768kbps) audio tracks. It wasn't possible to get a reliable bitrate reading (it might be 7.15Mb/sec). The bonus features are a commentary track (by Gilliam, Palin and Cleese); an interview with Gilliam and Palin (27m); an extract from a July 1981 edition of the ITV film magazine programme Clapperboard (17m); an interview with Gilliam and Palin (27m); the elaborate theatrical trailer; and several text or image-based galleries: scrapbook; biographies; film notes; dream facts; production photo gallery; missing storyboard scene; storyboard extracts; hidden Spiderwoman storyboard with photo and script. Menu screens from this release can be found here. A new press release has confirmed the bonus material on The Nameless DVD (see below). The extras will be a Making of..., a trailer and a music video. Christopher Lee will join Robin Hardy at the London launch of his new book Cowboys For Christ tomorrow at Borders Bookstore, 203 Oxford Street, at 7pm. More information about the book at the official website. Apologies that there was only one News entry last week. Sadly real life got in the way! There are two new competitions starting today, offering you the chance to win a copy of Optimum's The Collected Adventures of Asterix DVD set (which is released next week), or a copy of Fox's Boston Legal - Season One set (which is released today). Click on the banners, above, or here for the Asterix competition, or here for the Boston Legal competition. The Incoming page continues to evolve. Lots of new titles were added in the last week. There are a lot of great titles out today, not least of which the new BBC telefantasy titles (Adam Adamant Lives, etc). One minor inconvenience to note - Choices Direct has updated its website software, so some of our links aren't working at the moment. We'll be working on the problem. 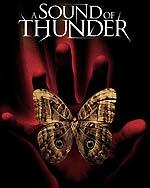 Don't forget that you can also access a list of titles released in the last four weeks here. It's not a definitive list (it's created using the 'expired' Incoming data), but it will help you spot any interesting titles you might have missed. The disc will feature a director's commentary track, and cast interviews (this information has not been picked up by most of the main etailers). No technical details were announced. The RRP is £15.99. 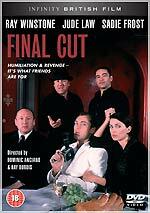 (A relatively bare-bones version of Final Cut was released by MGM in April 2000). 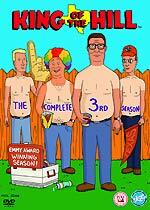 The third series of King of the Hill will be released by Twentieth Century Fox Home Entertainment on August the 21st. The set contains twenty-five episodes, including shows with guest stars Mary Tyler Moore (Revenge of the Lutefisk), Sarah Michelle Gellar (And They Call It Bobby Love), William H. Macy (Pregnant Paws), Buddy Ebsen (A Fire Fighting We Will Go) and Billy Bob Thornton (Nine Pretty Darn Angry Men). As usual, the episodes will be presented in 4:3 format, with Dolby Digital 2.0 audio. Unlike the first two seasons, which had a lot of bonus material, the third season is extras-free (it's the same as the Region 1 edition. Bummer!) The RRP is £24.99. 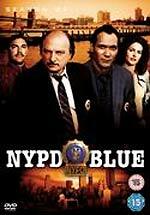 The fourth season of NYPD Blue will be released by Twentieth Century Fox Home Entertainment on August the 14th. The six-disc set will feature twenty-two episodes. Bonus features will include commentary tracks (by director Mark Tinker and writer Bill Clark on Where's Swaldo? and Alice Doesn't Fit Here Anymore; and by star Andrea Thompson and guest star Debra Christofferson on Tom and Geri); and two behind-the-scenes featurettes, titled Through The Lens: The Look of Blue (16m) and In With The Blue (22m). The RRP is £44.99. Warner Home Video will release Supernatural Season One Part Two on August the 21st. The RRP is £29.99, but a couple of etailers are listing it for as low as £17.99 (click the Incoming link, above, for details). Buena Vista will release the fourth season of Scrubs on September the 18th (before anywhere else in the world). The four-disc set will include deleted scenes, audio commentaries and a music video. The Nameless, the film based on a novel by Ramsey Campbell (which was announced here a few weeks ago) has been re-scheduled for September the 4th. The disc will be released by Altra Films (a Dogwoof label). The revised press release still doesn't mention any bonus material. Peter Hyams' long-delayed, critically-hammered science fiction thriller A Sound of Thunder will finally be released on DVD on September the 4th. The film, an adaptation of the classic Ray Bradbury time paradox story, stars Ben Kingsley, wearing one of the most bizarre wigs in Hollywood history, Edward Burns, Catherine McCormack and Jemima Rooper. The film will be presented in 2.40:1 widescreen format, with Dolby Digital 5.1 audio. Sadly, but not surprisingly, the only bonus feature is a trailer. The $50m+ movie was practically abandoned by the studio, and given a very low-key theatrical release in the US (and no theatrical release at all here in the UK). RRP for the disc is believed to be £17.99. BBC Audiobooks have announced two new Doctor Who audio titles. 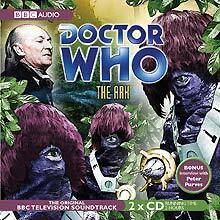 The first is a narrated version of the 1966 William Hartnell story The Ark. The two-disc set is narrated by Peter Purves, who played companion Steven Taylor in the series. An interview with Purves is offered as a bonus feature, on the two-disc set. The RRP is £13.99, and this is due on August the 7th. 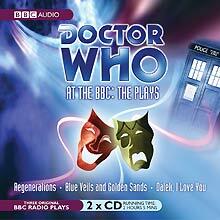 Rather more interesting is Doctor Who at the BBC: The Plays, which is due on September the 4th. This presents three complete radio plays based on, or inspired by, the series.